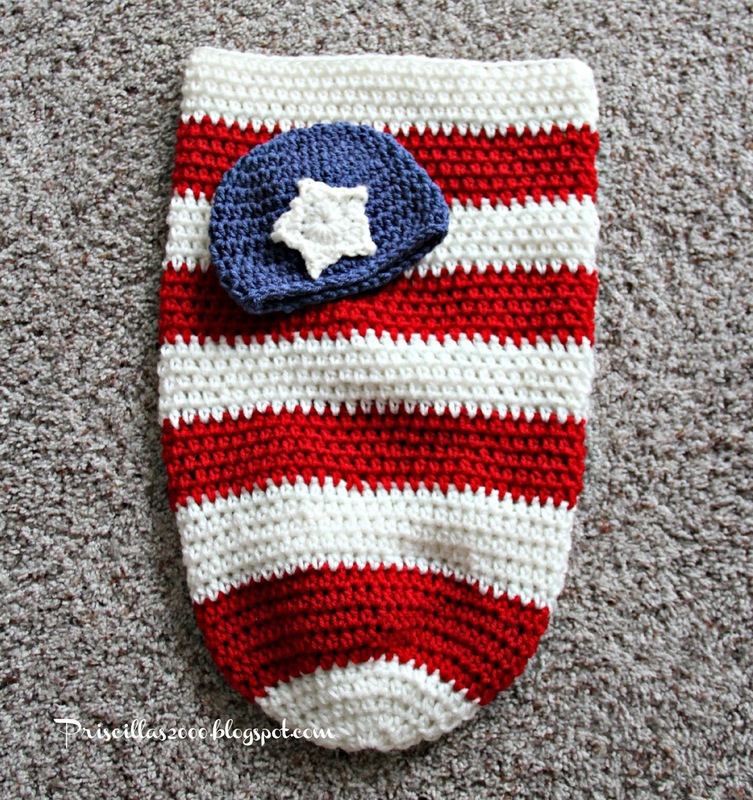 Since we are expecting another Grandson at the end of June, its time for me to get busy crocheting some cute things for the new little guy! 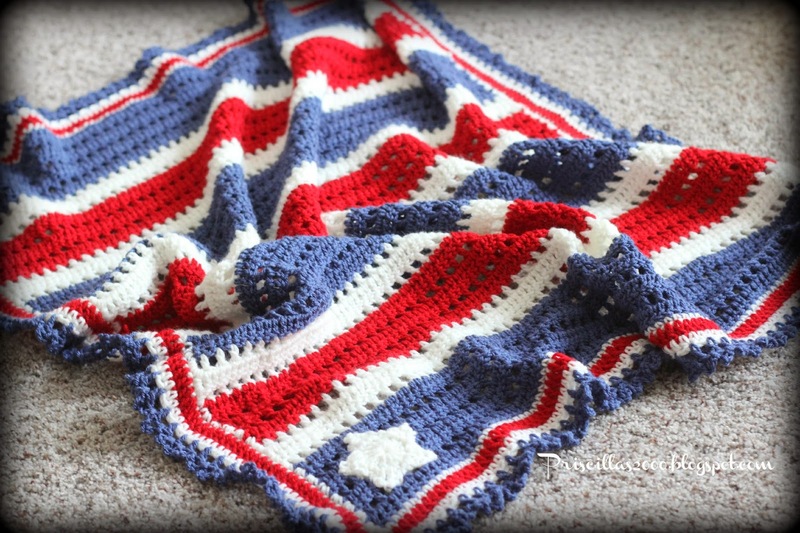 I made this patriotic blanket , cocoon and hat .. 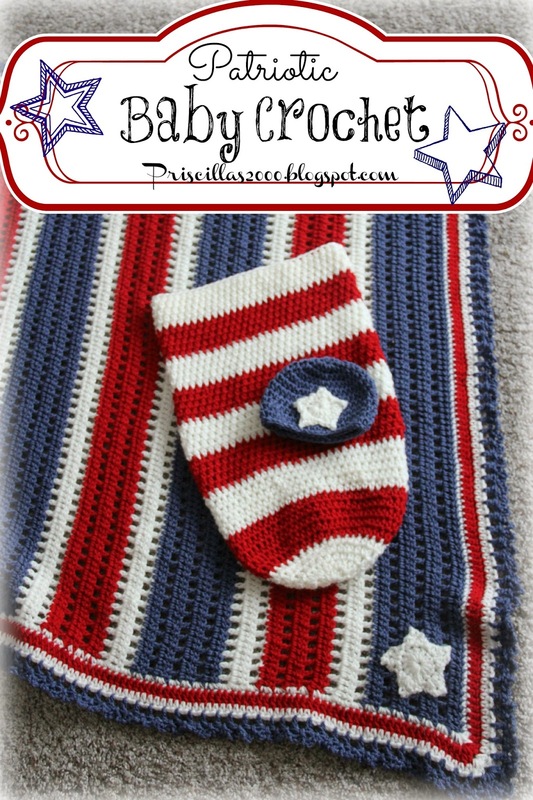 I used this pattern for the cocoon, except when it started the fancy stitch I just stuck to plain half double crochet .. 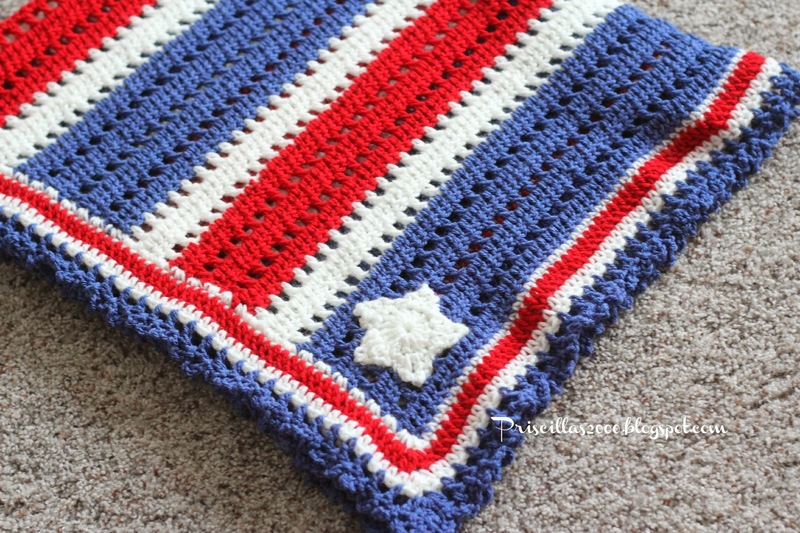 I did 5 rows of each color to make the stripes. 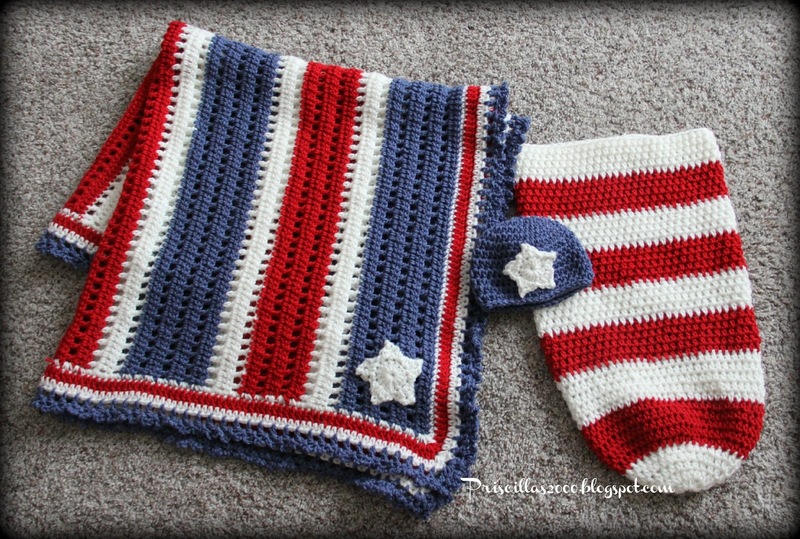 I made the stars from Attic 24's pattern ..for the blanket star I used a H hook ,for the hat I used a F hook . 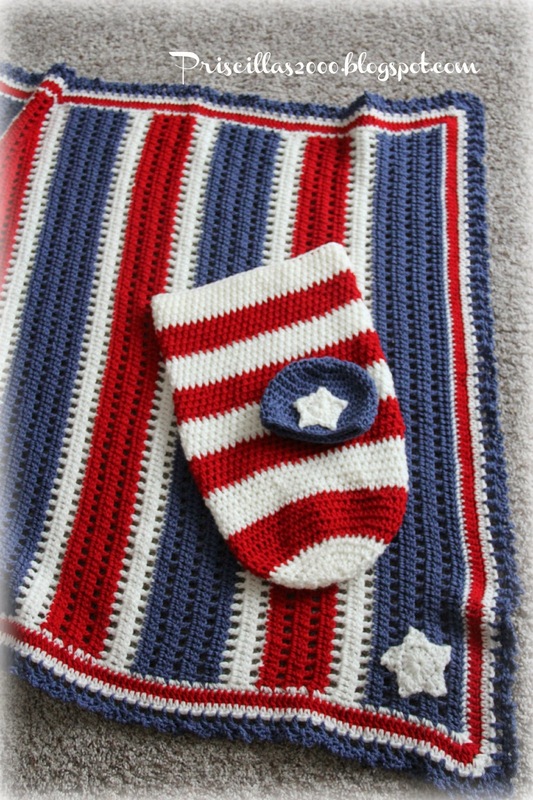 I used all Hobby Lobby I love this yarn for the set..I used this pattern for the blanket ..
Oh, those are darling, Priscilla!! Another grandson! Boy, those male genes sure run strong in your family (sounds a lot like mine!). Perfect gift for this summer baby.